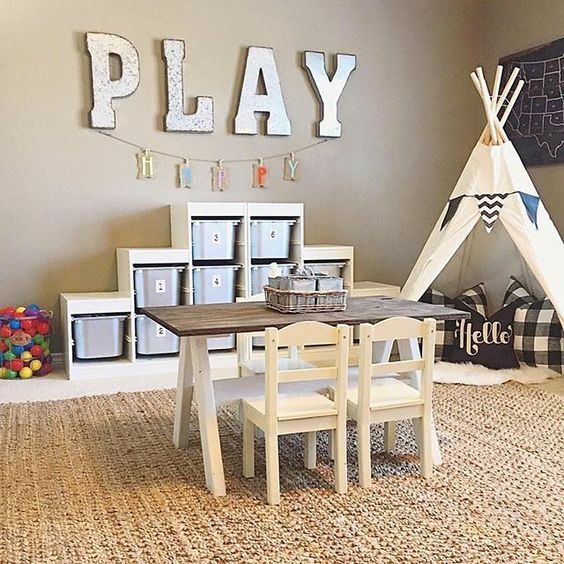 A good playroom can be a great option for your kids to grow up with, it will definitely be their favorite place in the house and where they’ll be spending most of their time. 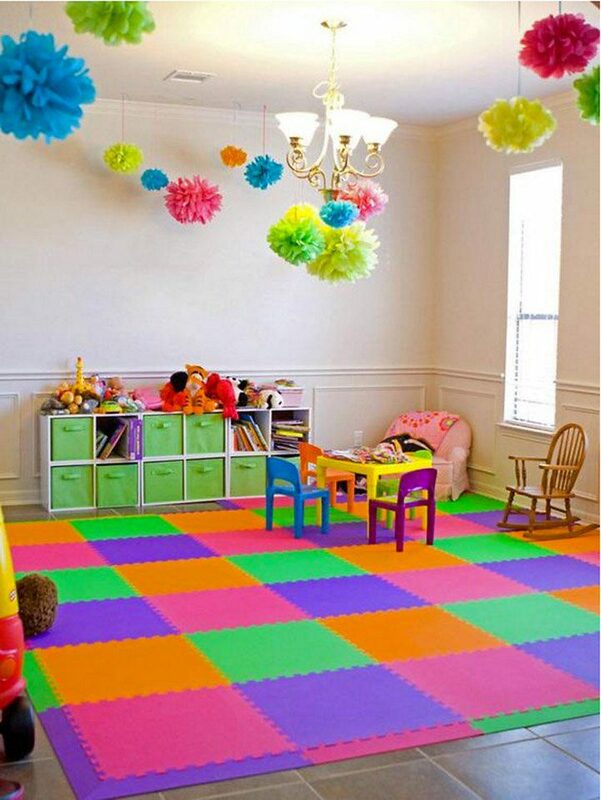 With that in mind, here is a list of a few tips and ideas to design the perfect playroom for your kids. Besides concentrating the toy mess into only one room instead of the whole house, having a playroom has a lot of pros: it’s a place where they are free to do as they please, a place focused on them, for their learning, playing and developing their abilities. It’s a safe space, away from any knives and forks from the kitchen or any breakable objects from the living room, where they can be free to explore, to be creative and to let the imagination flow. Lighting is one of the most important things when you’re designing your children’s playroom. There has to be lots of it so that the room feels less tiring and the kids can play more comfortably. Big windows is a great idea to keep the space more natural and refreshed, but you can also use good light fixtures and pastel colors on the walls, to brighten up the room. The floor is often the children’s favorite place to play, so it needs to be safe and preferably comfy. Carpet or big rugs are the most often chosen options, but soft tiles is also a great choice: they’re soft, safe and easy to clean and you can just replace a small section in case there are spills or stains involved. Having comfortable sitting so your children can play with their different toys and board games is crucial. Poufs is one of the most common choices: the kids love it not only because it’s comfy, but also because it’s versatile: you can use it anywhere, anytime, with any activity. Creating an art gallery, a place to display your children’s drawings and paintings, is an amazing idea to encourage them to continue being creative. 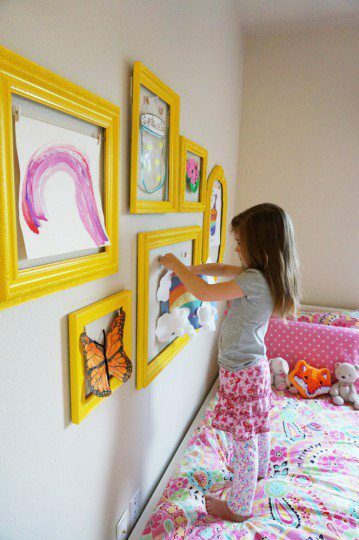 The fridge is the most common place, but you can create a proper art gallery on the playroom choosing a wall to add some frames or even hang two or three strings to hang the pieces with clothespin. 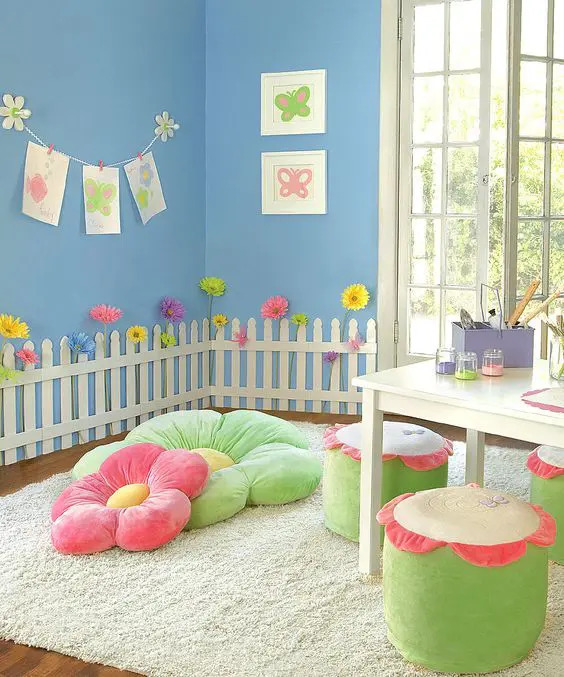 Creating a fun and comfortable reading corner can encourage your kids to read more and stay interested in it. It’s best to choose a place where there are lots of light and some good and comfortable sitting options for your kids, so they don’t get tired too easily. Leave the books all displayed on an accessible bookshelf, where they can easily choose what to read, and keep the space colorful to add fun to it. 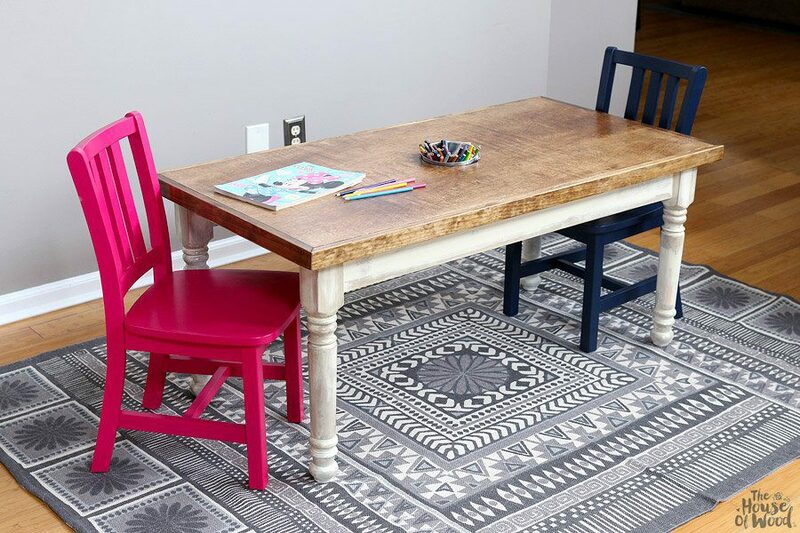 Encourage your kids to be more creative by having a big table they can use and lots of art supplies: pencils, markers, coloring pens, crayons, stack of drawing paper and different colored ones, paints and paintbrushes. Everything they need to create art and let the imagination flow. Children love to have their own little house: a small safe place that it’s theirs and where they can have a lot of fun and create their own new universe. 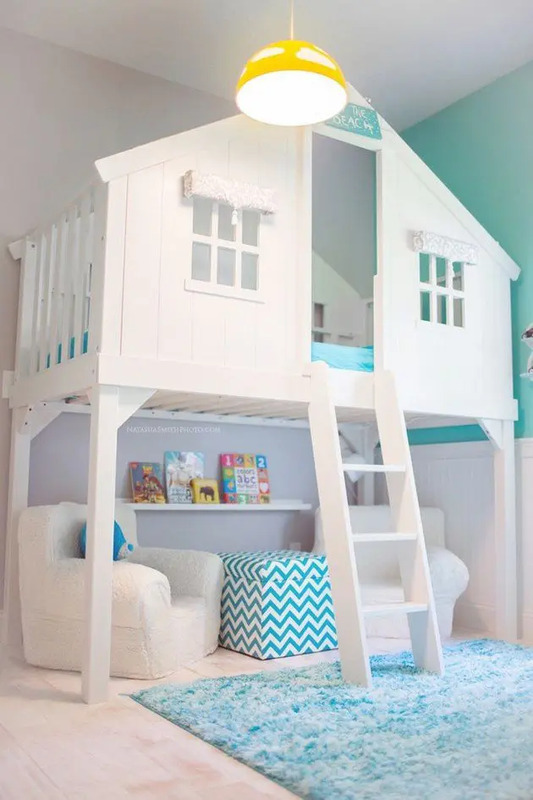 You can choose to make a small one inside the playroom or even make the room’s entrance to resemble a little house. The children are going to love it! 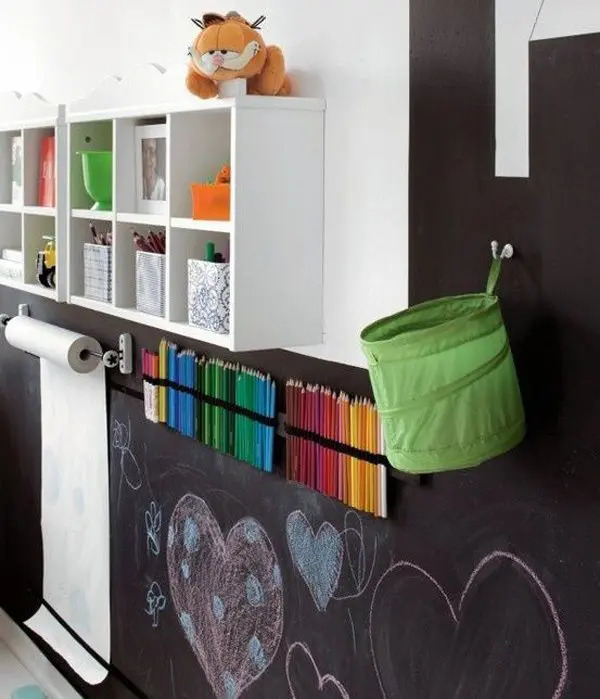 Having a few coats of chalkboard paint on a chosen wall corner can create an amazing space to encourage your children’s creativity. Having a small Slip and Slide inside the playroom would be a dream come true to the kids. 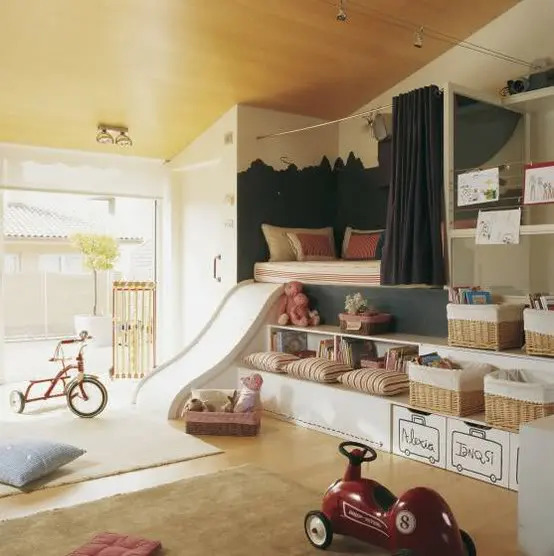 It’s especially entertaining when having playdates over and the room will probably be considered the coolest room amongst your children’s friends. 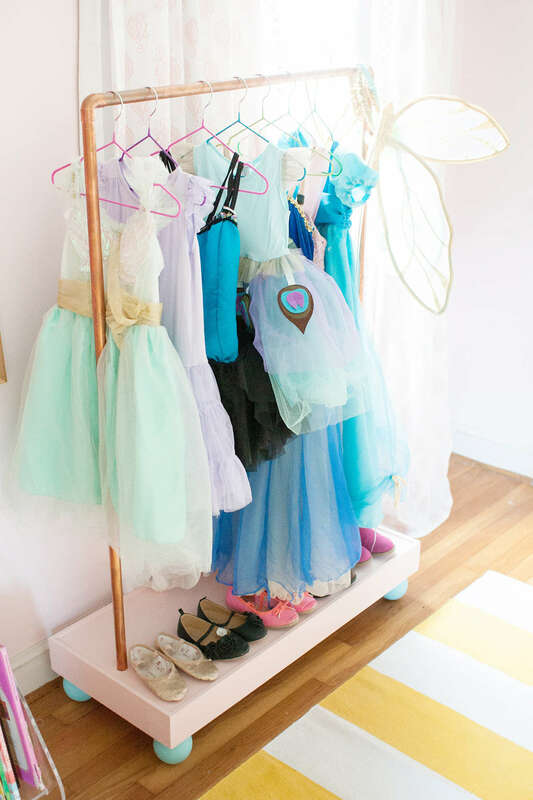 Another interesting idea to design the perfect playroom is choosing a corner to be a dress-up space. It doesn’t matter if it will have princess dresses or super hero costumes(or both): it will be perfect for the little ones. Designing the perfect playroom may be a bit tiring, but it’s definitely worth the trouble. This is the place where the children will spend most of their time, will learn, play and explore their imagination, so keep it fun, cheerful and interesting. Article written by Isadora Guidoni, also a writer for homeyou.com, a company that connects homeowners to reliable, affordable and professional contractors for their home improvement projects. Currently doing this for my kids at the moment, it’s more a play area so it has to be integrated with the rest of the dining room to fit nicely. Love these ideas especially the art gallery, stealing it! Ooh, I can’t wait to see how it turns out! SO cute! I’m only in college, but things like this make my heart happy. Part of me can’t wait to have a family and a house to design 🙂 Thanks for sharing! These are amazing!!!! “classy clutter” is my motto! Love these ideas! I definitely added to my dream play room list after reading it! Love the poufs! Oh my gosh so cute! I love the first one with the teepee, and the one with the little house, and… i like all of them! These are great ideas! We’re working on a playroom makeover and we’ve been tossing some of these same ideas around. Great minds think alike! This is such awesome animation… my kids playroom is SO hideous!! I totally want to give it a makeover this year! I especially love the gallery wall and reading corner! My daughter is only 9 months old, but I’m definitely pinning this for later. So many cute ideas! Stunning images and great tips! I love everything about this post. Thanks for sharing! These play rooms are all SO gorgeous!! I love the play teepees! These are really lovely ideas! I love these playroom ideas. If only, my kids were smaller! Great roundup of playroom ideas. We used to have a chalkboard wall, but it was way too big, so we painted over it. I think a small chalkboard area is great though. And I really want to make a dress up area for my daughter. 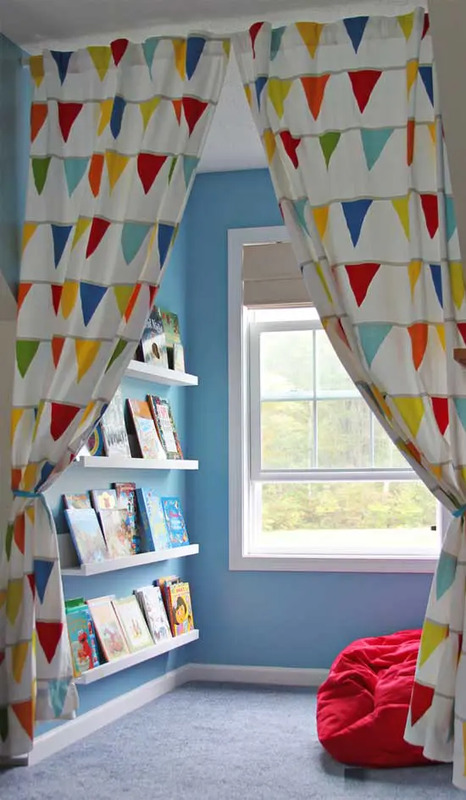 Having little reading and dress up corners – such a great idea! So sweet.